The ACT government has cleared the way for pokies at the Canberra casino for the first time, supporting up to 200 poker machines at the venue. The decision will break the stranglehold that Canberra’s clubs have had on poker machines, and will come as a major blow to the clubs, who have been fighting the casino’s bid for poker machines and argued their livelihoods are at stake. 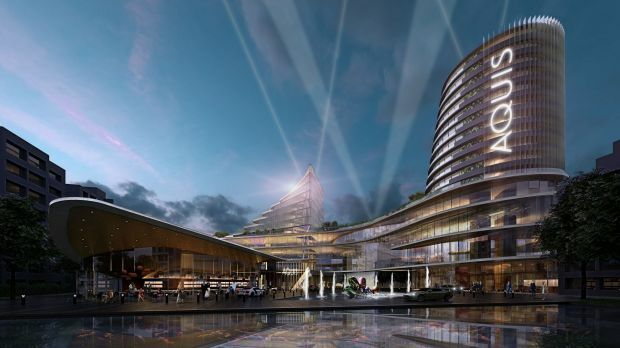 But Chief Minister Andrew Barr has rejected the casino’s bid to take over Canberra’s convention centre, saying the centre will remain in public hands. And he says the casino must come back with a revised redevelopment proposal for the 200 machines. He also rejected the casino’s request that the machines come on top of the 5000 already operated by clubs in the city, saying the casino would have to buy them from clubs under the existing cap. There was speculation on Thursday that the Labor Party-owned Labor Club might sell to the casino, but Labor Club chief executive Arthur Roufogalis did not return calls on the subject, and the club’s board has already passed a resolution saying it will not sell.